Big news! We’re opening a second location! 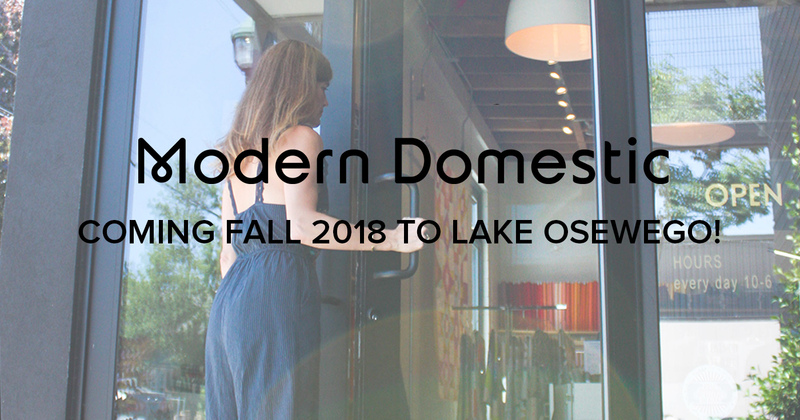 Modern Domestic is coming to the Lake Oswego / Bridgeport Village area very soon! UPDATE: NOW OPEN! Expanding to a second location has been a long-term dream for both us and our customers.We’re excited to share our love of sewing with more of the Portland metro area. 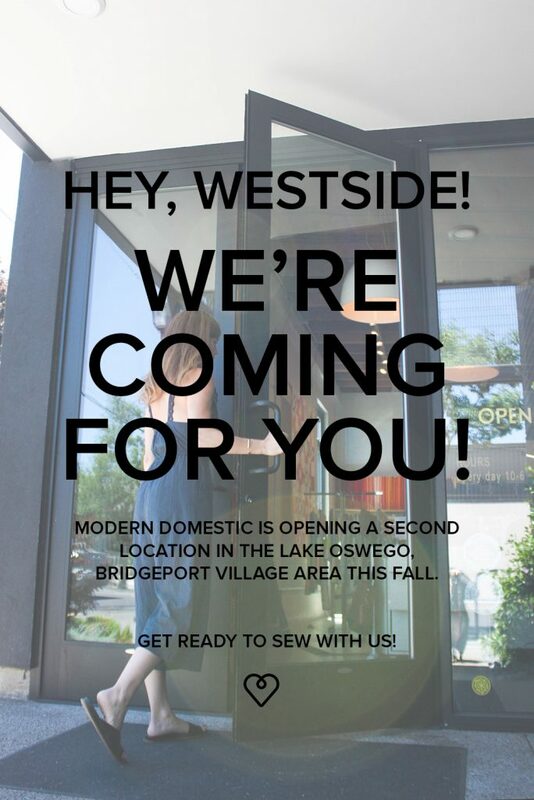 Get ready to sew with us in the Bridgeport Village area this fall! Much like our existing location, our second space will have our curated selection of quilting cottons, linens, canvases and garment fabrics, along with BERNINA sewing machines, notions, and tools. We’ll also host a variety of sewing classes for beginners, kids camps, workshops, quilting and garment classes, community events, and charity sewing days. Thank you for your support! Stay up to date with store renovations and our grand opening! Subscribe to our newsletter and follow along on Instagram and Facebook. SO incredibly excited that you’re opening a SW location!! BRING IT! Looking forward to class schedules for the new location to be published! Yayyy!! Very excited learning about your new location! Can hardly wait for your fabrics, ideas, wonderful staff, classes and charity sewing groups!! Woot! Woot! !